I heard recently of a very interesting artist by the name of Nicholas Evans. I heard about him on a podcast of a BBC’s radio Wales program called “All Things Considered.” Evans who lived the majority of his life as a preacher only came to art later on his life and felt the Spirit gave him the works he had to paint. 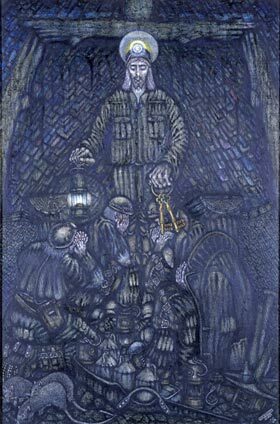 Also known as Nick Evans in the art world, his work explores the lives of miners in his community in Wales but with a spiritual perspective. 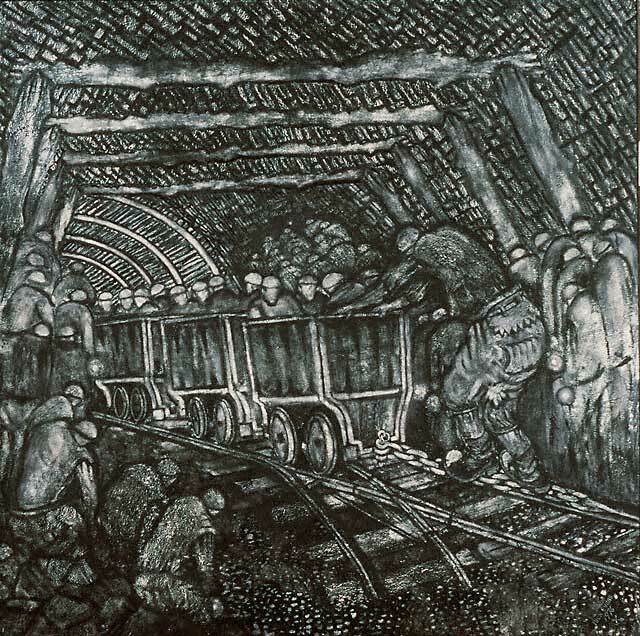 He viewed the miners and the mines as a wonderful allegory of our spiritual life here on earth; where we are stuck below the surface with a whole additional beautiful world waiting for us above. Although his work looks very dark, Evans was a very cheery man who painted the majority of his work in his bedroom. 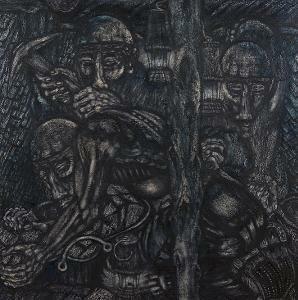 This entry was posted in Artists of Interest and tagged art about miners, art about workers, art of faith, Christian artist, Nicholas Evans. Bookmark the permalink.